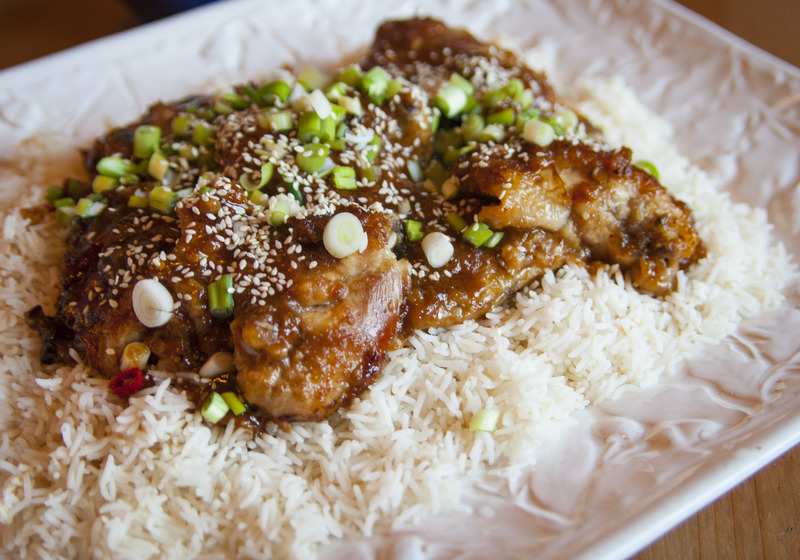 Colonel Tso’s Chicken is a common dish in America. I can’t claim have ever seen it in Europe. Have you? Just know that this will make a very very generous dinner for two. And you’re unlikely to dial that chinese delivery place any time soon with this in your little black book of treats. 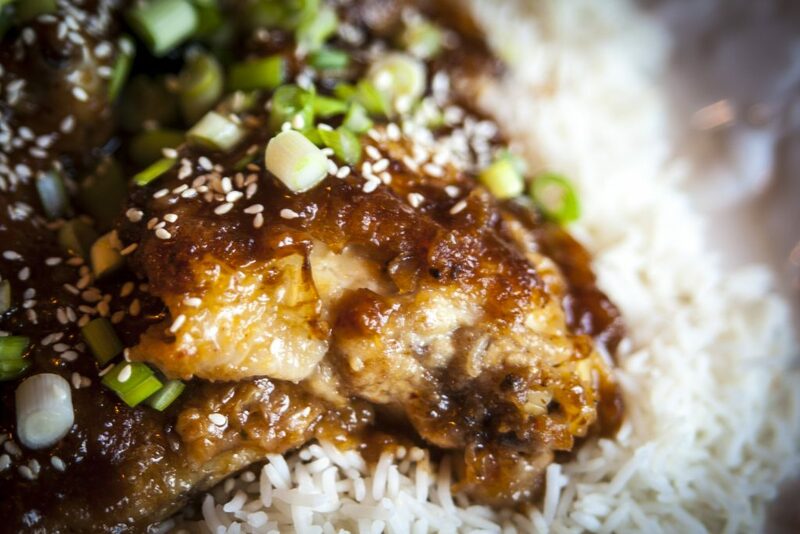 If you don’t have a slow cooker you can cook this in a covered dish on low for a few hours. Sprinkle the chicken with the corn flour and pan fry it on very low heat for about 6 min or just when it begins to be golden. No need to cook it through. Place the chicken in the crockpot and pour half the sauce over it. Put on high for 1 hour and then on low for 2 hours. Add the rest of the sauce and leave it on low for another 20 min. 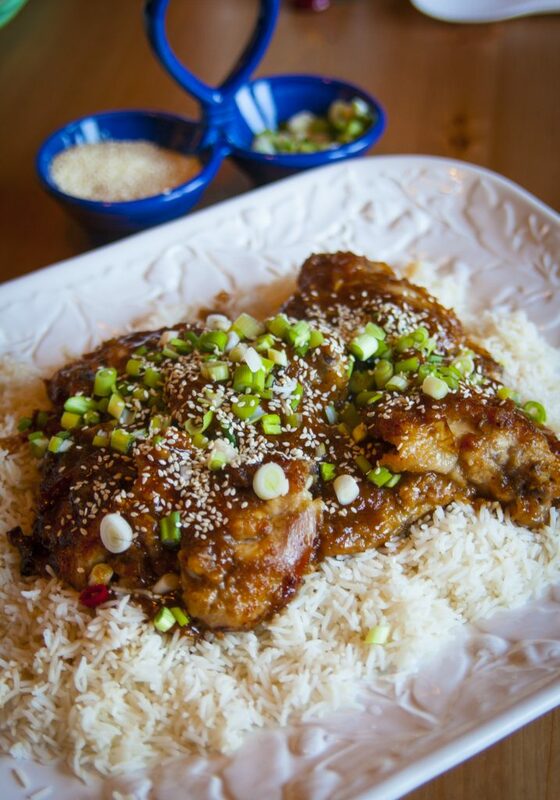 Serve on white basmati rice or chinese sticky rice. Shred some scallions and sprinkle sesame seeds on top.